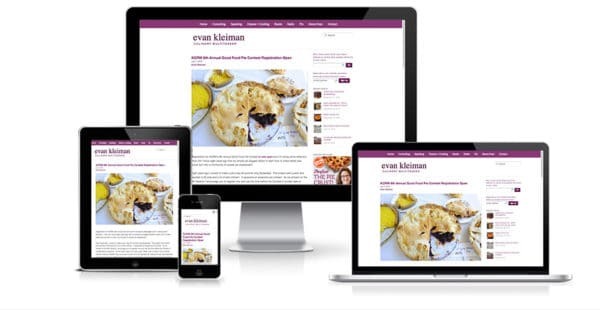 This Evan Kleiman case study describes some of the design and development considerations for her personal website which highlights her thoughts, recipes, her journey into the realm of pie and getting in touch with for speaking, teaching and consulting opportunities. Evan was the chef/owner of Angeli Caffe on Melrose Avenue, is the host of the Good Food radio show on KCRW and is a 2017 James Beard award recipient. As audiences are moving more and more towards viewing web content on mobile and a variety of devices other than desktop computer one of the key requirements was to make the site perform well on all types of devices and responsively react accordingly. Evan has written several cookbooks and continues to develop and tweak recipes which she shares on her website. 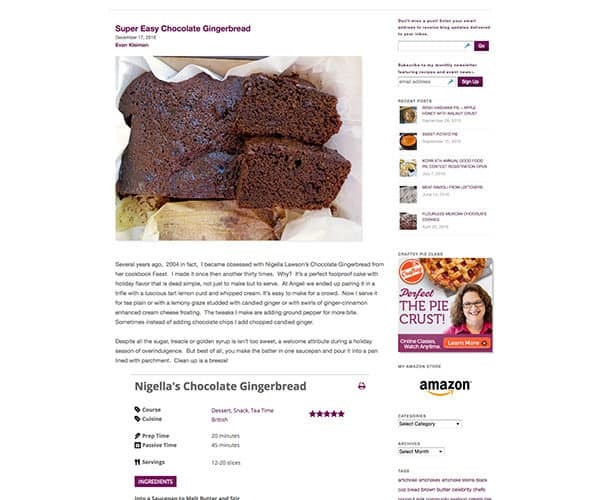 We provided a consistent format to write and display each recipe. In addition, archives for recipe tags and for recipe types were created to display like groupings of recipes for the user to view. 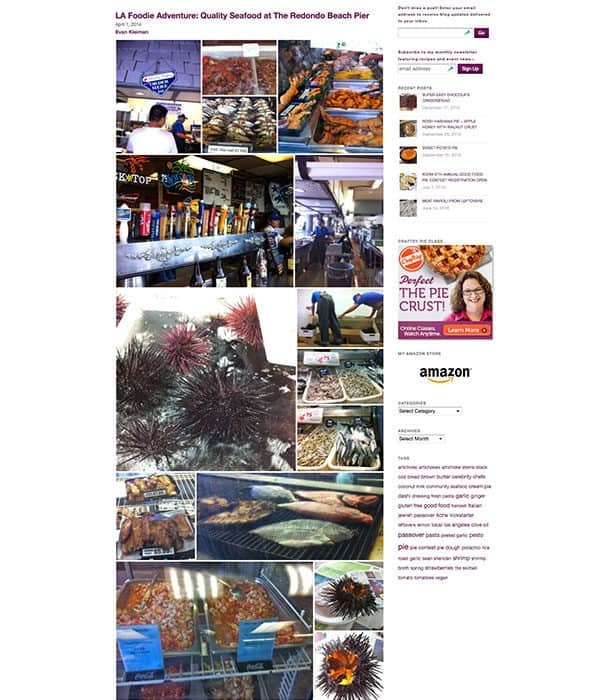 This site has many images, much effort was put into making sure pages and images load as fast as possible to provide a good user experience. Also, the site is secured by security plugins to prevent hackers from messing with the site. 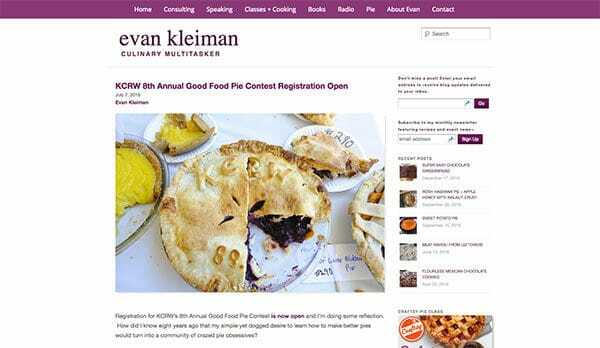 Evan is known as an expert on making pies, from a summer of making pie and from this effort arose the Good Food Los Angeles pie contest, a pie making app and a Craftsy class on making pie. We highlighted all of these on a dedicated part of the site. For this second iteration of the website in addition to a clean, usable site I really needed someone to implement all the back end information for the best analytics results. Stacey gave me all that and more.